and the stables of the animals are also housed in the farm. Also, I have a few small things installed with which you must explore yourself. The launch vehicles and takeoff fields are also changed. 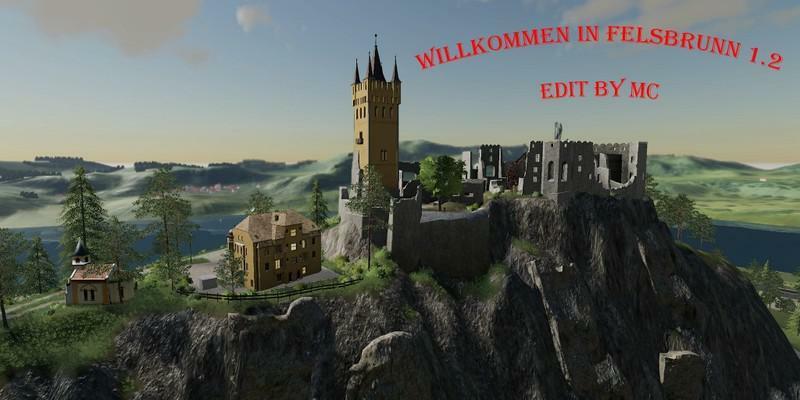 I hope you like my processed Felsbrunn.Einige open spaces are also available. I have done my best and the log is up on the bush01 which is a bug of Giants error-free. Still, I do not exclude errors that were not apparent to me. If someone finds fault, please let me know. The PDAMap version 1.3 Multifruit is now in several sections scanned, assembled by hand and included in this version for the first time. Much has been rebuilt, replaced or redesigned which requires a new score. Also new fruit varieties were installed such as rye, hops, millet, carrot, onion and sorghum. However, these fruit types are all excluded from field missions (disabled) because they cause an error in the log. The log is so far except for the errors caused by Giants own error and error messages. Still, I do not exclude minor inattention on my part in the design of the map, such as: floating objects, etc. 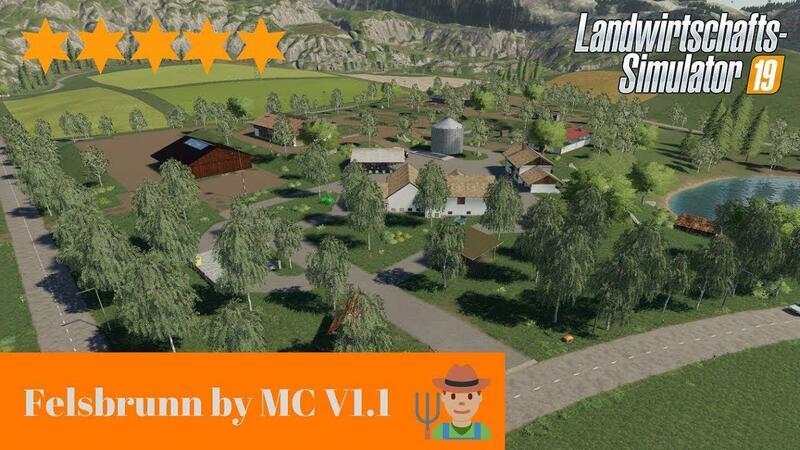 To have a small idea of ​​the map, everyone can watch the 3 videos that can be found below videos. Garden center (manure and manure sale), fuel production (soybeans, sunflowers and rapeseed sales), flour factory (wheat, barley, oats and corn sales), observation tower, WhiskyRum factory (sugar beets, sugarcane and corn sales) and sugar factory (sugar cane and sugar beet sale) installed. As well as many small and bigger changes in the terrain. Furthermore, signs, signposts and many small details are installed. The forest was also enlarged a bit. I would like to sincerely thank everyone for the release of the objects.